Composition: It is the most researched product of the hive. You have identified over 250 elements and 50 biologically active principles. You resins, balsams, essential oils, minerals (over 20 trace minerals), vitamins, amino acids (7 of 8 essential) and more than 50 groups of flavonoids. is: antibacterial, antifungal, anticolesterolé:mico, antiparasitic, anti-inflammatory, antioxidant, antitoxic, antiallergic, analgesic, anesthetic, antituberculous, antiviral, cytostatic, deodorant, epithelializing, stimulating inmunogenesis, fitoinhibidor, hemostatic, hypotensive and heat stabilizers. It is an excellent bio. 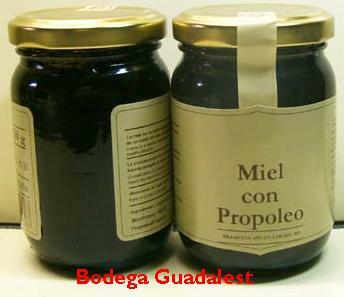 Trace elements contribute to the healing of anemic, prevent arteriosclerosis and increase the body´s immune capacity. The pur stimulates the immune response of the body, complementing both functions without altering the bacterial flora, which happens to synthetic antibiotics. Respiratory: A broad-spectrum antibiotic that does not produce Dysbacteriosis and has deservedly earned a reputation for effective shot. Its anti-inflammatory and anesthetic action makes it effective protector of the throat and vocal cords. Before the cold is very useful as an adjunct to other therapies. In cases of pulmonary turbeculosis can also be a good ally. Dermatology: Its remarkable healing capacity, disinfectant and anti-inflammatory is recommended for wounds, burns and skin conditions. Also ideal as a broad spectrum fungicide. Contraindications: None. No allergic reactions have been detected, or toxicity from overdose. It has been shown to perfectly compatible and complementary to other therapeutic practices. Only a small percentage of the population is allergic to pur and other bee products (pollen, royal jelly, honey, venom). Allergic reactions to pur usually appear in people who are allergic to bees, or bites. The chemical composition of pur is quite complex and depends on the plant source. It basically consists of a 50-55% resins and balsams, 30-40% of bee wax, 5-10% of essential or volatile oils, 5% pollen and 5% miscellaneous materials (organic and mineral). There are more than 160 compounds, of which 50% are phenolic compounds, to which are credited with pharmacological action. There is another group of compounds and mineral elements found in trace quantities (almost negligible amounts) that are of fundamental importance in the biological activity of PROP and cell metabolism, emphasizing the pro-vitamin A and some B vitamins, especially Vitamin B3 or nicotinamide, in addition to lactones, polysaccharides, amino acids and others not yet identified. 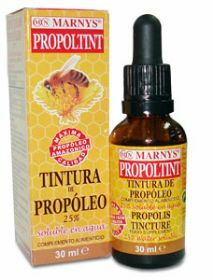 Because of its composition and properties are often recommended in cases of recurrent respiratory or any situation in which the body´s defenses are low. It is necessary to store in a cool, dry place in tightly closed containers. The usual dose is about 20-30 drops in half glass of water 3 times a day. The proportions are often used to prepare the product is 1 / 4 of volume propolis X 96 liter of alcohol but some commonly used equivalence 30% (300 g X liter), being really very concentrated. 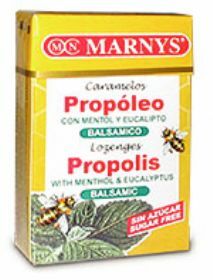 But if the propolis is of good quality can be used by 20% x liter. In addition there is to know that many solutions and filtered once finished are diluted with distilled water.